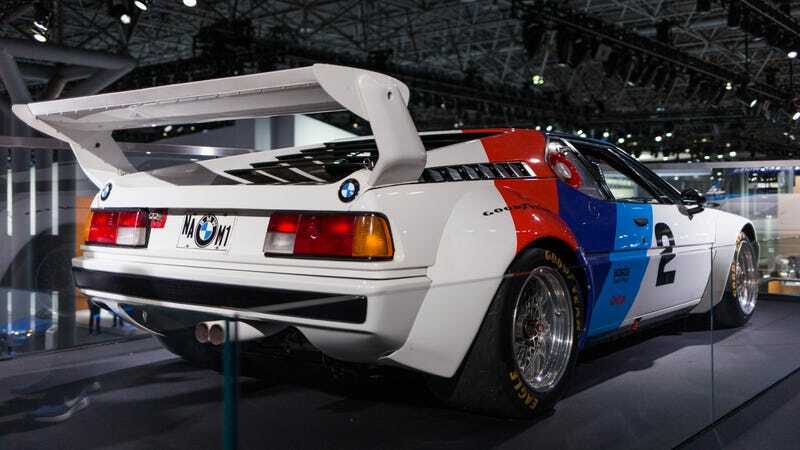 The legendary BMW M1 turns 40 this year, which is definitely a cause to celebrate because, arguably, BMW hasn’t made a car as badass or awesome since then. Jochen Neerpasch, the man behind the M1, recently sat down for an interview The Bimmer Guy to tell its story on video. Even if you know it already, it’s a nice way to revisit an icon. Since the M1's departure, BMW’s had a sort of empty halo car slot. I suppose we’ve had the Z8 and the 8 Series, but none of those really punched like the M1 did. It must be why an M1 will now sell for about $700,000. And as for the i8, I’m sorry to say that I don’t find it comparable, either. Don’t get me wrong, I think it looks incredible. Its sound and what drives it just don’t excite me as much. Now, if you’ll excuse me, I’m going to go look at pictures of M1s and decide which of my organs I can sell so I can buy one.